When planning a weekend getaway with friends or family, it’s important to find a place ahead of time that provides no opportunity for boredom. Few places can provide such an experience the way Atlantic City, New Jersey, can. While this city is best known for being the Las Vegas of the East Coast, plenty of other activities are available for everyone to have a good time. Whether it’s working on your tan at the beach, touring aquariums and museums, or seeking thrills at theme parks, visitors will have fun. 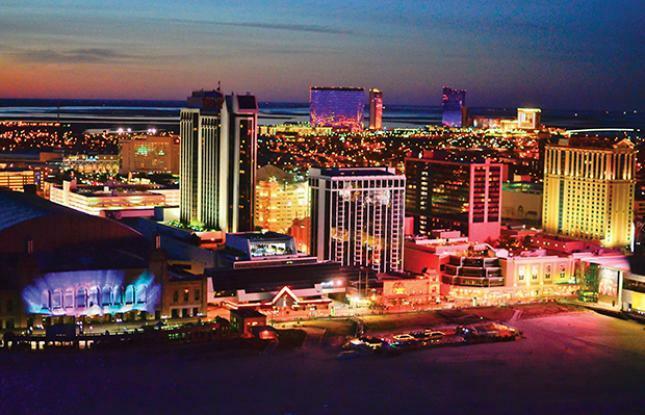 Read through this guide so that you can plan a fun break in Atlantic City. If you’re looking for the chance to win some big money, you won’t be short on options in Atlantic City. Whether you feel more comfortable playing slots or have learned all of the tricks of the big table games, you can try your luck at Caesars, Bayley’s Atlantic City and the Borgata Hotel. Other options include Harrah’s Resort, the Golden Nugget and the Tropicana in case you want to try a few out. Place some bets at the Hard Rock hotel so that you can have a filling dinner and learn about the history of rock ’n’ roll along the way. You may be a beach person looking for a new spot to spend your weekend getting away from the noise of the city life. If that’s the case, then Atlantic City will make it easy to relax in the sand or spend the afternoon in the ocean. Atlantic City Beach is great for both friends and family. The kids can work on their sandcastle building skills while the teenagers and adults hit up the waves. The boardwalk by the ocean makes it easy to get to restaurants for lunch and dinner, as well as find arcade games to play. Being able to walk between destinations will save you plenty of time and money on traveling. Many cities and states have their own landmarks to be proud of. In Atlantic City, it’s the Absecon Lighthouse, the tallest lighthouse in the state, standing at 171 feet. While this means a long journey to the top, the view of the ocean is completely worth it, especially if you get to the top when the sun is setting. If you want to ensure you have the best photo of the view possible, stop by one of the AT&T stores in New Jersey beforehand to update your phone. With your smartphone in tow, you can be sure the images you get from this view will be breathtaking. You can also stop by the art exhibits in the lighthouse in case you want to create a drawing or painting to show off to everyone back at home. Vacations provide you the time to educate yourself in addition to having fun. Atlantic City has a variety of museums to choose from that offer their own learning experiences. History buffs should make time for an afternoon at Atlantic City Historical Museum to learn about parts of the past that they may be unfamiliar with. The Sea Life Museum and Atlantic City Aquarium allow you and your kids to get close to big and small sea creatures that are hard to come across in the shallow part of the beach. Artists can stop by the Noyes Arts Garage at Stockton University to view different projects for inspiration. Those in need of some thrills on their time off will definitely want to save a day or two for the Steel Pier amusement park, which is full of rides for different ages. The Swing Carousel and the Flying Dutchman can be a fun time for the whole family, and rides like Monster Plunge and Twist and Shout are great for those who aren’t afraid of heights. The Rock-n-Roll coaster and Crazy House will give you some extra adrenaline, and the view of the ocean at the top of the Ferris Wheel is amazing. If you want an even bigger view, the helicopter rides should do the trick. Both provide great ways to get your selfie pics on! Put all of these activities on your to-do list for a memorable stay in Atlantic City.